Viral YouTube personality Poppy just dropped her first full-length studio album, “Poppy.Computer.” The album’s release marks six years since the launch of her YouTube channel. Since then she has come a long way, winning Breakthrough Artist at the 2017 Streamy Awards along with receiving YouTube’s Gold Play Button for surpassing one million subscribers. To say the very least, Poppy’s videos are abstract. They’re typically filmed in front of a light gray or dusty pink background, accompanied by droning ambient music. Her videos are social commentary that are intended to mock the nature of fame and our obsession with celebrity life, by portraying herself as an egocentric pop star who performs bizarre acts and poses obscure questions for her fans. The strange acts and questions haphazardly range from Poppy eating cotton candy to questioning the meaning of eternity. Although her videos have meme quality and comedic value to them, Poppy has proved to be a talented and ambitious artist with purpose. Last year, Poppy collaborated with Los Angeles writer and director Titanic Sinclair to create an album of ambient experimental music titled “3:36 (Music To Sleep To).” The project was designed to facilitate a full night of sleep and encourage healthy dreams. While Poppy has openly stated that creating ambient music is her true passion, the music on “Poppy.Computer” is quite the opposite. Stylistically, “Poppy.Computer” is not a huge stretch from her concise 2016 debut EP “Bubblebath” that meshed bubblegum pop and reggae, resulting in catchy, upbeat songs about millennial trends and the artificial glamour of wealth and fame. However, there are no traces of reggae on this album, as Poppy primarily falls back on her K-pop and J-pop influences. On the surface, many of these songs seem glossy and cute, but there are complex ideas compressed in these songs that should not be overlooked. “Poppy.Computer” continues to playfully diss the lives of pop stars while delving into other narratives about love in the age of digital communication. Poppy explores materialism and the physical role cellphones and computers play in modern relationships during “Computer Boy.” The song “Interweb” stretches that concept even further, hinting that the internet is crowded with misinformation and fake personas. Poppy experiences the daily routine of the idolized pop star in “Let’s Make a Video.” The song is successfully straightforward in its attempt to bash celebrities who live high-profile lifestyles. The only faltering moments on this album are during songs like “Moshi Moshi” and “Microphone,” where the lack of thought behind the content and the lyrical repetition result in shaky songwriting. For example, the entirety of “Microphone” is Poppy fretting about how she cannot find her microphone. Songs like these may disappoint those who expect streams of thought provoking lyrics from the singer, given the sardonic wit in her videos. Even with the silly lyrics, the energy and intricacies of the instrumentals make for extremely fun songs. “Poppy.Computer” is pop music at its core, and it is a valuable addition to her existing discography as it reveals another dimension of her boundless creativity. 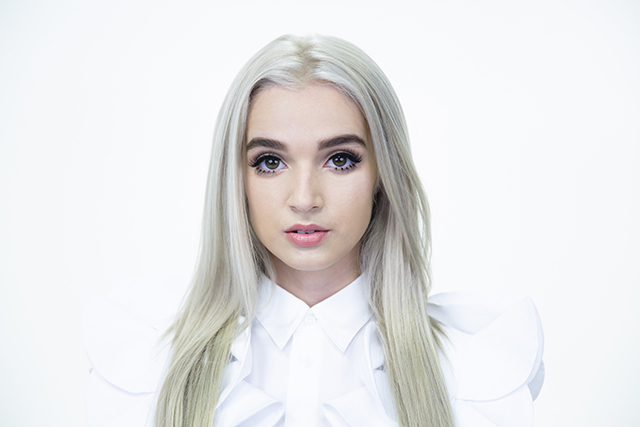 Poppy’s reign is somewhat difficult to put into words, with her outlandishly eerie videos and serious musical endeavors, but “Poppy.Computer” is just more of what Poppy is best at.